Goals and Purpose of Program: This is a great program for individuals who are new to running, would like to target a 10K race or want to continue training in a structured environment or who have already completed a 5K and are looking for a new challenge. It is also applicable for experienced racers who are looking to maintain their fitness. Emphasis will be on improving endurance, running education and training with a goal of safety first and getting to the starting line of your target race healthy while in a supportive and low key pressure environment. Prerequisites: You must be a member of MCRRC to participate in this program. Each 10K registrant must be able to run three (3) miles continuously. While this is not a “walk-run” program, we train runners at all ability levels. We will use a recent race time to help place you in a training group. If you do not have a recent race time, we will hold a one mile time trial within the first two weeks of the program to help ensure proper pace group placement. There will be a minimum pace requirement of 15 min/mile. Preparation/Transition: As long as you are comfortable running 3-4 miles continuously and are running 2-3 days a week you will be able to do this program. Additional miles and days is fine, just be aware that you want to feel like you have recovered from your previous program/race before taking on your next challenge. Program Cost: The program is $65 for MCRRC members. It does not include the “Target Race” registration fee. There are no refunds on program registration. 1st Track Workout: Tuesday, August 21, 2018; 6:45 pm at the Montgomery College track. The track workouts will take place at Montgomery College and may move to another track location in Rockville in October, which is TBD. Target Race: Rockville 10K on Sunday, November 4, 2018 at 8:15 am in King Farm, Rockville. (Some registrants may also choose to run the Marine Corps Marathon 10K, which is on October 28th). Cortney is a long-time runner who has run over 125 races covering every distance up to the marathon. Cortney has participated in many MCRRC programs and prior to taking over the 10k program in 2017 she was a pace coach for 3 years. .She also coaches with the Speed Development program, is an RRCA Certified Coach, past MCRRC Board Member, and mother to a precocious 5 yr old. More than her love of running, Cortney loves coaching other runners to meet and exceed their goals. Shannon is a long-time runner and a RRCA certified coach and has been a pace coach for the 10k program for the last couple years. Shannon enjoys coaching and motivating others to reach their goals and is looking forward to directing the program again this year. Shannon is an Ironman finisher with 2 Ironman races scheduled for 2018! Support Staff: The 17+ coaches and pace leaders have a tremendous amount of knowledge and running experience. Most of them have be coaching with or running in the 10k program for years. Orientation: Orientation is scheduled for August 18, 2018; 11:30 AM at the Tilden Woods Local Park Building, 6800 Tilden Lane, Potomac, MD. Pace Group Information: Based upon the registration information that participants provide, each participant will be placed in a timed pace group. Saturdays @ 7:00am – long runs @ various locations. 1st Saturday workout: August 25, 2018. Location will be announced at the first track practice. We are like mail carriers – rain, sleet or snow…we will run regardless of the weather. Yes, we will run in the rain. Besides, it may rain or be hot or even snow on race day, so it’s helpful to have trained in adverse conditions. However, we will cancel workouts if there is lightning. If the weather is terrible on your solo training days, you can substitute treadmill running for road running. It’s common to have a short thunderstorm at the end of the day in the summer. Don’t cancel your track plans too soon if this happens. Many times the storm will have passed by the time you arrive at the track. Discussions on weather cancellations will be reviewed at orientation. 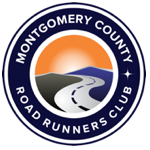 If you have additional questions, please email us at 10Kdirector@MCRRC.org.